Butchers kill dogs by stunning them with hammers and strangling them with nimble hands. The animals hang for sale on hooks after being grilled with blowtorches. 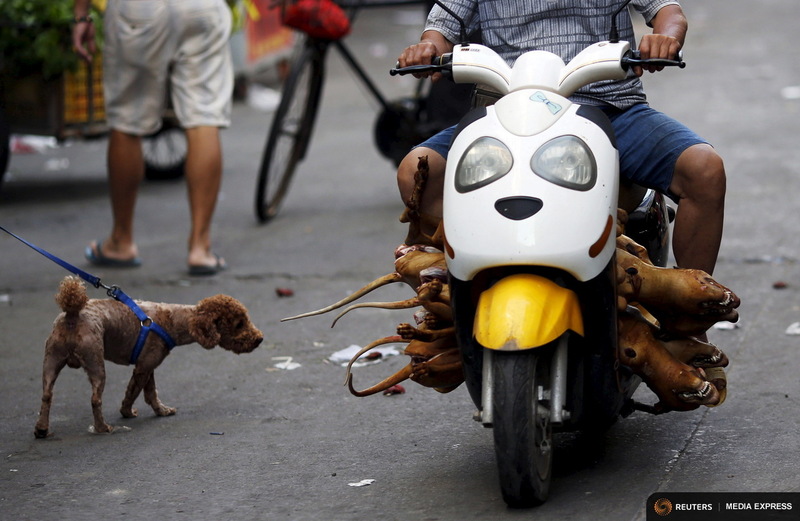 That is a typical scene in Yulin, in China’s southern region of Guangxi, at the dog-meat eating festival held every summer. The practice has become increasingly controversial in China in the past five years or so.